If you don’t want to know what will happen in the VP debate tonight, please do not scroll down. Spoilers abound. The GOP leaked the results on their website, which they obtained from some sort of psychic or mage or some such, and this is your last warning. Wow, bravo to Mike Pence. 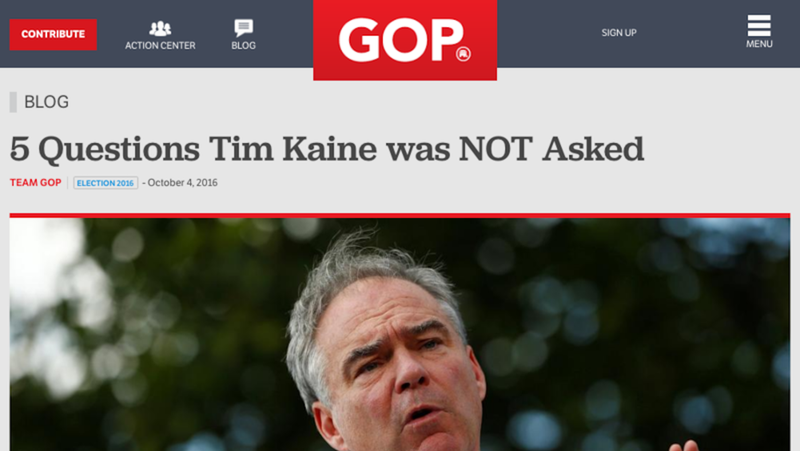 We also will agree Tim Kaine should have said more in our live blog, but I will not leak that in advance, so you’ll have to wait and see. TK is for Tim Kaine. This is the worst use of future sight powers I’ve ever seen, and cowards at the GOP have been magic-shamed into pulling the very good blog. Joe Biden Annihilates Trump For Saying Soldiers With PTSD Aren&apos;t "Strong"